Make your next home an SDK home. Surrounded by stately shade trees, Greenbrook Gardens gives off an aura of quiet, peaceful countryside and is located just a few minutes from a variety of excellent shopping, on-site recreational facilities and major transportation. 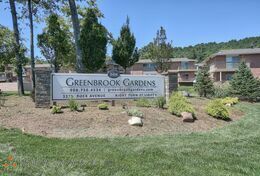 Greenbrook Gardens is located only minutes away from routes 22, 78, and the Garden State Parkway, where residents will find shops, restaurants, and entertainment venues short distances from their homes. Outdoorsy residents will also love the vast greenery of Washington Rock Park, located just behind Greenbrook Gardens. Greenbrook Gardens itself is also surrounded by enormous, shady trees which give the property a quiet, peaceful countryside quality. A true forest retreat, Greenbrook gardens combines the serene quality of a forest with the conveniences of suburban living. Copyright © 2019 SDK Greenbrook Gardens. All rights reserved. Equal Housing Opportunity Provider.